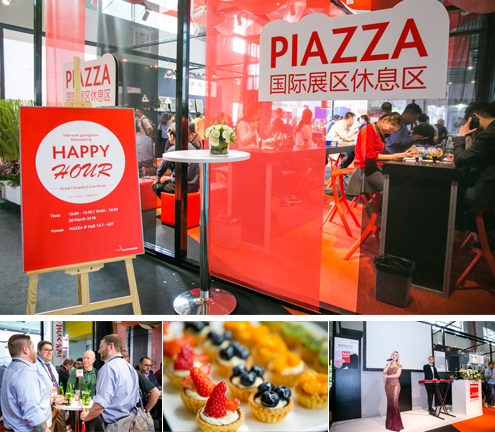 This year, we are pleased to bring you the interzum guangzhou Networking Happy Hour where visitors and exhibitors alike can network with fellow like-minded industry peers at the PIAZZA lounge over delectable food, great wine and relaxing music during the exhibition. Admission by Happy Hour entrance ticket only. Pre-register online now to obtain the ticket and to enjoy this special privilege! * Figures of the Networking Happy Hour event in 2018.